If there's one place that Google Docs is a market leader, it's where it comes to collaboration. A web app was a natural place to build on the familiar commenting features from Microsoft Word and make them work in real time and without formal software requirements. On the other hand, we don't normally think about spreadsheets in those terms. With the latest updates to Sheets, though, Google is bringing comments to Android and the web. Leaving comments in specific places, just like you would in a word processor document, actually makes perfect sense. This is especially true on a mobile device, where it can be easy to miss the forest for the trees due to screen size limitations. 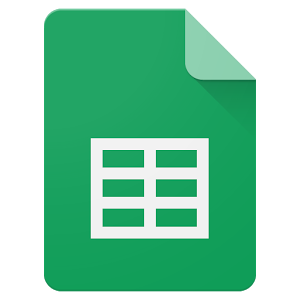 The goodies in the latest Sheets update don't stop there as Google is continuing to make charts doable on Android. 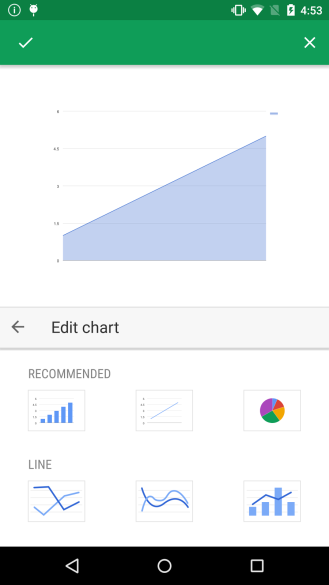 It wasn't that long ago that you could do nothing but view charts on Sheets for Android, making for a key function that just wasn't there. Recent updates have gradually built it up into something pretty useful. Now, Sheets will automatically check the neighboring cells when you add a chart to see if you might have preferred to include them as well. You will also be prompted with some recommended chart types to streamline the process. On a more minor note, the update will bring the 400 new fonts recently introduced to the web interface to the Android app. Docs gets a collaboration enhancement in its latest update as well. Now, you can both view and act on comments and change suggestions in the print layout view. This makes it possible to see how the document looks in its full size, non-text-reflow state at the same time you do your collaborative work. It's not exactly a huge leap, but should be appreciated by those who use Docs nonetheless. You can get the new Docs at APK Mirror now, but we're still waiting for the update of Sheets to roll out. Stay tuned.